Posts on social networks don’t live long. So it is important to publish them when your target audience will see them. This is how you find out at what times that is. What are the most active days of the week? In order to determine the activity of your target audience, you first have to know where they are located. Looking at Facebook that means, what pages are they active on? Apart from your own pages, of course, you have to take your competitors into consideration. Let’s take the US retail branch as an example. Cosco, Walmart, Best Buy and Kroger are competitors of Target. To find out when a post reaches most potential clients the social media manager of Target has to examine on what days of the week the post interaction is highest in the branch. If you are working with Fanpage Karma you can create a dashboard of all the Facebook Pages of your branch and then assess the most successful weekday in the chart boards. If you don’t know what a dashboard is and how to create one, click here. The data indicates that users of retail pages are more receptive for the content of Cosco and Co. at the beginning of the week. 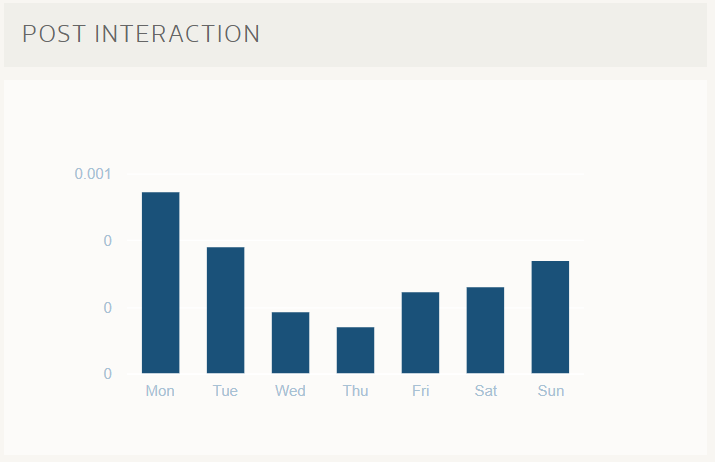 The graph clearly shows a dip in interactions on Wednesday and Thursday. Towards the end of the week, you can see an increase again. The Target employee now knows: Mondays and Tuesdays are the best days for posting. 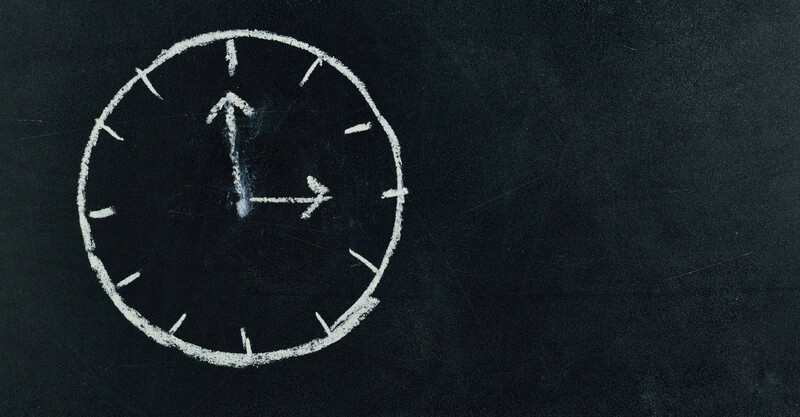 You still have to figure out at what time of the day you can best reach your users. A glance on the daytime analysis shows exactly at which hours there were the most interactions per fan. These times are most promising. The graph displays circles of different size and color. The bigger the circle, the higher the number of posts. The greener the circle, the more interactions per fan on posts at that time. The intervals are adjustable between one hour and six hours. Hover on a circle and you will get more details about that time period, like the average post interaction. Click on a circle to see a list of the respective posts. You have the option to sort out rough results. This can be handy, for example, if pages posted lottery contests which received unusual numbers of reactions and therefore distort the average values. Users of the US retail branch interact mostly on Mondays between eight and ten a.m. and six and eight p.m. and on Tuesdays between eight and twelve a.m.
Keep time zones in mind. You will get misleading results if you pool profiles that have user bases of different time zones together in one analysis. Create separate dashboards for the different time zones to avoid getting your posting time wrong. If your company is present in the American and the European market, for example, create two dashboards and find out the best times to publish your posts for each region. It will be worth your while to check regularly at what times posts are most successful as markets, competition and the behavior of the users are constantly changing. You can easily see this by changing the time period of your analysis. If you choose a rather long period you can assess stable trends. Choose a short time frame and you can see that the values strongly depend on the circumstances at that specific time. This can be a great way to analyze how the activity of the users changed as a result of campaigns. Find out when you should post! With Fanpage Karma you are able to calculate the best posting times for Facebook, Instagram, Twitter, Pinterest, and LinkedIn. You and your team can test all features for two weeks for free. Create dashboards for different networks and figure out when your users are most receptive for your content.